In case you missed it, Sony has been doing something a little different with E3 this year. 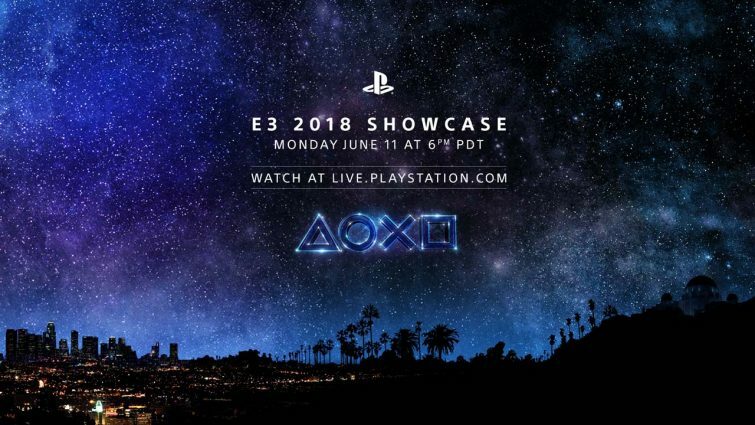 Not only have they mentioned four games that will definitely be in their showcase, they have spent the last five days releasing exciting news for our beloved Playstation platforms each day for their E3 countdown to the big conference tomorrow. They have been very transparent this year which has been interesting. It has accomplished one thing though, Sony has been on everyone’s minds simply because they keep showing up. So, maybe it’s a good thing they are trying this out. Anyway, here are the announcements they have made over the last five days. Some of which are fairly exciting. The first announcement was a bit underwhelming but still looks good. The game is Tetris Effect and it looks has some great eye candy in the graphics department. As the narrator mentions, this version of Tetris plays with the idea of the actual term “The Tetris Effect” which basically means you see the game even when you’re not playing. For example, you might see blocks falling into place in your vision. All things aside the game looks very pretty. Things got a little more exciting on Thursday with the reveal of the release date for Days Gone. The hype for this game has been building for quite some time and it’s moving along pretty quick. With the release date they also showed a new trailer. I have to say, the more I see of this game the better it looks. It’s coming out in February. Along with several other big games. Mostly known for Life is Strange, developer Dontnod has a new game in the works called Twin Mirror. This game looks to take a slightly darker approach to storytelling. It’s a psychological thriller that has you playing as Sam who after going to a friends funeral, finds himself in quite the predicament. Keep an eye on this developer. One of the better surprises this week so far is the reveal of Ghost Giant, a new PSVR game. It’s similar to Moss in that you don’t directly control the character but interact with them. This game looks like it has a lot of charm and really takes advantage of the PSVR capabilities. It just might be a good reason to pick up a headset. To keep with the PSVR theme, Sony revealed the release of Beat Saber. This game has been making the rounds on the internet. It’s a different kind of beast for rhythm games. You’ll using sabers to slice blocks to create the beat. No release date yet but it is coming to PSVR. I have to say that these announcements were pretty good. I wonder if this different layout for E3 is something Sony is going to do every year. I am a little worried that this kind of presentation doesn’t leave very many surprises for the show but we’ll see what happens. Which of these did you like? Are you excited for any of these announcements? Stay tuned for more news from E3 2018!